Perfection. That’s the key aim in Eva’s life. She works hard to be the girl all the other girls wish they could be: pretty, popular, smart and the queen of her gymnastics clique, the ‘Jimmies’. She seems to have it all. Having been a teacher for many years I recognise that bullying is a problem that many teenagers have to deal with on a daily basis. Unusually, I wanted to explore bullying from the point of view of the bully herself. Enter the world of school, home and gymnastics to find out what drives Eva to be so spiteful. A Perfect Ten' is smartly written, exploring the intriguing motives behind bullying and eating disorders. Testament to great writing shines through the believable characters in realistic situations... Combine Chris Higgins flair for genuine insight with the comic charm of her perceptive narrative and we may have the new queen of bitter sweet teenage fiction. This is her fourth novel and she gets better and better with each new storyline. Touching, gripping, amazing, exciting, unputdownable! It's one of the best books I've ever read. 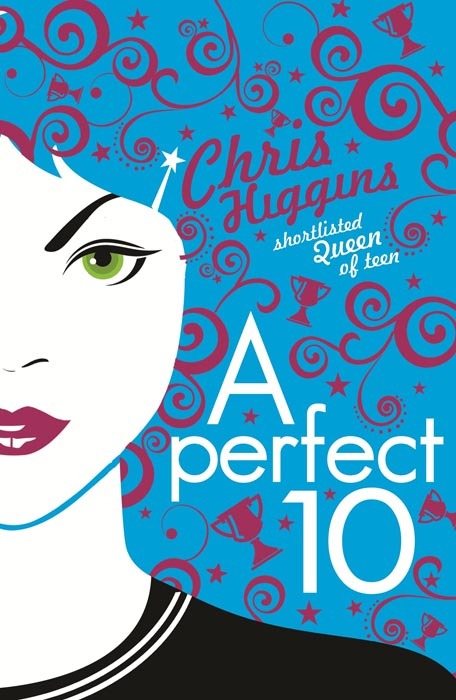 'A Perfect Ten' is Chris Higgins latest book and is possibly (despite all her other books being great) her greatest book yet.